Air conditioning villa, 4 bedrooms, private pool & now with established gardens. Spacious villa, lots of outdoor & indoor spaces guarantees you a great holiday. Private pool lots of sunbathing areas, terraces & lawn areas, with high schrubs. Villa has several terraces, lots lawn areas, flowers & high shrubs for privacy. Villa enjoys private, all round lawn & terrace areas & play areas for children. Spacious, fully equipped kitchen with door to BBQ, lawn, pool terrace & parking. Cosy, light and bright combined lounge/dining room area with door to pool. Extendable dining table for up to 8 persons. Door to kitchen from dining area. The light, bright and spacious lounge/dining area also has a double window. Ground floor, fully tiled bathroom, fully tiled with shower, w.c & basin. 1st floor Air Conditioning, Twin Room with private, bathroom with shower. 1st Floor Air Conditioning, attractive, Double Bedroom with double window. 1st floor. Another light & bright Air Conditioning twin room with double window. 1st floor full bathroom, with bath & hand held shower, mirror, basin & w.c. Your local, amazingly beautiful & Sandy Falesia Beach & restaurants/bar. 1.2 km. 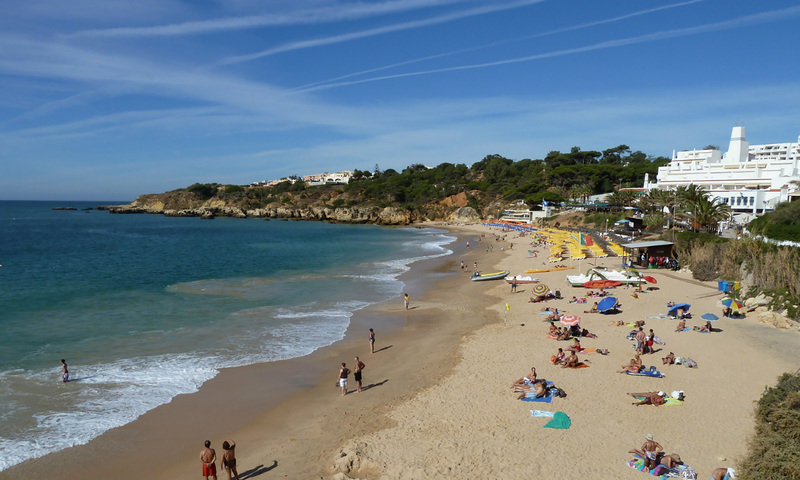 Praia Oura: Another enjoyable beach with many seafront restaurants. Only 4.2 km. Sao Rafael Beach. This & many others, can be found West of Albufeira marina. Arrives Beach. One of my favourite hideaway beaches, located besides Sao Rafael. Quality 4 Bedroom Villa air-conditioning, private pool, Nr. beach & everything! All within easy walking distances to literally everything in Falesia & Olhos Agua, including beautiful beaches. For 8-10 Persons+Infants. An extremely good villa in a great location in the sought after, quality area of Falesia and Olhos Agua, Albufeira. Villa Jose is a superb, and very popular, Quality Villa with Air Conditioning, Private Pool, along with lovely lawn & garden areas, occupying an extremely good location in the sought after resort of Beautiful Falesia in Albufeira. Located in a very quite, small street without any traffic noises, yet, it close to absolutely everything, all with short walking distances, including its superb beaches. The villa is perfect located in the beautiful low rise quality resort of Falesia in Albufeira with everything close to you, including complete its own stunning & very beautiful Falesia Beach. 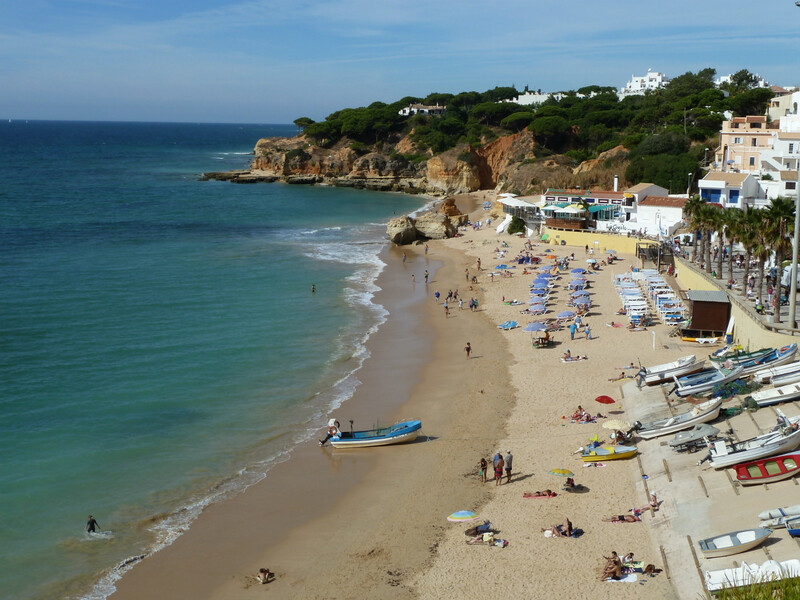 The neighbouring and charming fishing village & small town of Olhos Agua is also worth mentioning, because it a short walk away, complete with its own beautiful fisherman’s Blue Flag Beach, also with many restaurants, shops, etc, is also, only a short walk away. Villa Jose, enjoys a good and quite location, with views of other neighbouring villas. The light and bright villa has 4 bedrooms, and the accommodation is spread over 2 floors with air conditioning throughout. On the ground floor, there is an open plan lounge/dining area with Cable/Satelite TV, and a DVD,, with a selection of DVD’s provided, there is also, a fully fitted and fully equipped kitchen. On this floor, there is also, a Air Conditioning Double Bedroom with double doors to side of the villa and driveway, there is a bathroom with a shower, w.c, & basin. As for the outside of the villa, it is gated, there is a driveway for private parking, if required, for up to 3-4 cars, including a partly shaded area, various, lawn and terraced areas, a built-in BBQ, private pool with sun beds, table & chairs for outdoor dining, with all round high shrubs, making the villa nice and private. There are many other beaches; Olhos de Agua is a must! A short walk away. 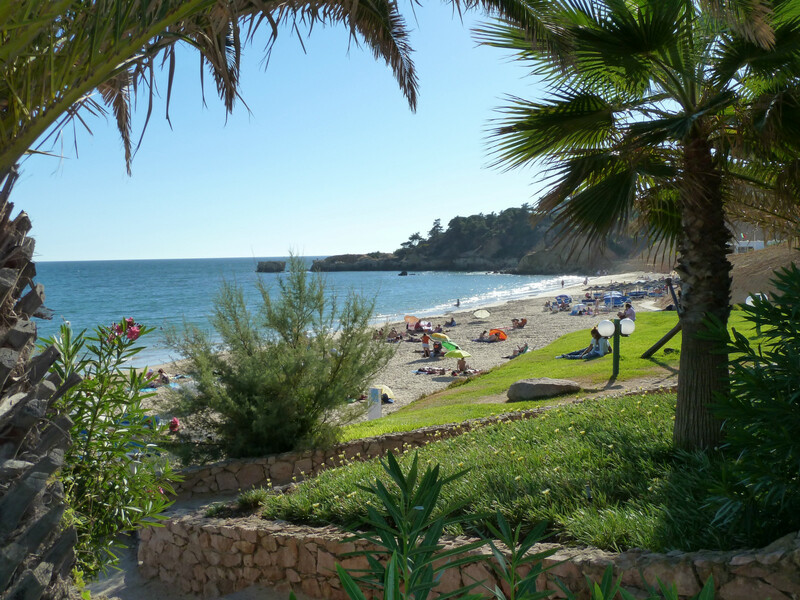 Maria Luisa beach near the club med, The Stunning picture postcard Santa Eulalia Beach, Colourful Praia da Oura beach, and, take time and go to Albufeira’s, colourful and lively, old town and Fisherman’s beach. 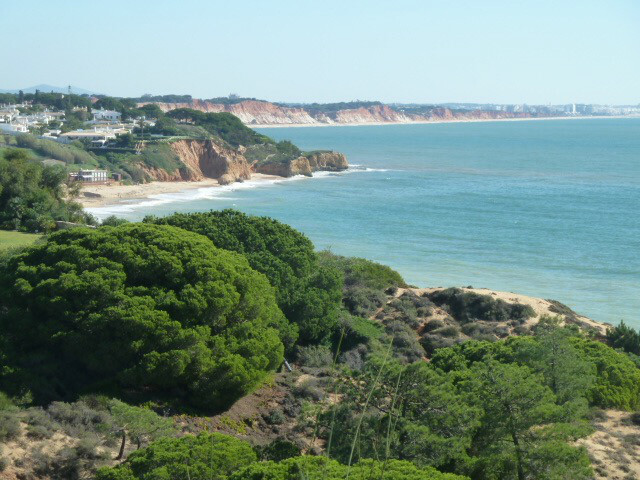 Falesia, is one of the most delightful and quality spots on the Algarve, home to the luxurious 5* Sheraton Pine Cliffs Hotel and resort, walking distances to stunning, picture postcard beaches, including, literally everything you need, to make your holiday complete and easy. West of Albufeira marina, there are many more beautiful and stunning beaches can be found, including the beautiful Sao Rafael beach is a must, our favourite little hideaway beach of Arrifes beach, not forgetting, Coelha beach, and many others, all small pretty beaches, most, blue flag beaches, all the way to Guia. As for lots of shopping, there’s Albufeira old town, just over 6 klms away, or there’s Guia/Albufeira shopping, home to the best shopping mall, on the Algarve just 10 minutes drive from the villa, with many famous names, Zara, Mango and many others, including cinemas, restaurants, Continente supermarket and more, open every day until midnight. 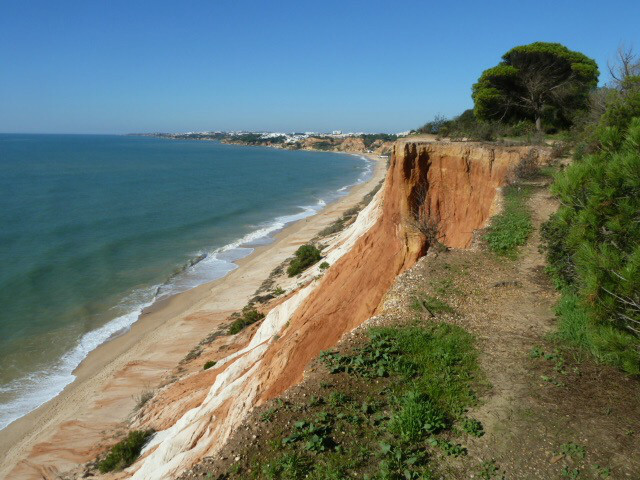 The nearby resorts of Vilamoura with six, 18 hole golf courses, including the Par 72, 6560 m Victoria Golf Club; Vale do Lobo and Quinta do Lago with six, 18 hole golf courses, including the acclaimed Par 72, 6238m San Lourenzo Golf Course. A Warm welcome is guaranteed, of this fascinating & sunny region – the Algarve. Villa Jose is a superb, and very popular, very spacious, Quality Villa with Air Conditioning, with lovely lawn areas and pool areas, occupying an extremely good location in the sought after resort of Beautiful Falesia in Albufeira. Located in a very quite, small street without any traffic noises, yet, it close to absolutely everything, all with short & pleasant walking distances, including its superb beaches. The spacious, light and bright villa has 4 bedrooms, and the accommodation is spread over 2 floors with air conditioning throughout. A very easy, and pleasant walk away, is the magnificent Falesia Beach, a Flag Beach, just 1.2 kms away, it is a stunning, picture postcard beach. The villa is also well located, in a one way street, with street lighting, with neighbouring villas. And, the main Falesia street with literally everything is only 200 metres away, with many cafes, restaurants, sports bars, banks, supermarkets, and more. *All prices include on arrival: Milk, water, sugar, and more..
All the bathroms in the villa, have marble flooring throughout, and are light and bright. with marble fooring and wall tiles. *1st floor: consisting of 1 full bathroom, with window, with bath & hand held shower, WC, and basin, with marble flooring with tiles walls to ceiling. *1st floor: consisting of 1 private bathroom en-suite with window, walk – in shower, WC, and basin with marble fooring & tiled walls from floor to ceiling. My husband and I stayed for a week in mid-June with our 24 month old daughter. For 3 of us the villa was huge! Four bedrooms, 3 upstairs and 1 downstairs and 2 shower/toilet rooms and another bathroom with bath. The kitchen was basic but useable and it was nice to eat at the table just outside. The pool is good albeit quite cold! With a toddler it was nice to have a patch of grass for her to play on however there is no fence around the pool so we spent a lot of time trying to stop her jumping in! She also worked out how to open the gate to the road (she’s a bit of a Houdini!) so it didn’t feel very toddler-proofed. That said we have a particularly curious and energetic child! The location was ok – lovely and quiet and relatively peaceful at night so we were very happy with this. The nearest beach is walkable (approx 20 minutes with a pushchair) however if you have young children be prepared for a steep climb uphill on the return trip. The beach itself was fantastic – great for young kids to paddle in the shallow shore and a lovely family atmosphere, very picturesque as well. We were very glad to have rented a car as the nearest village was a fair walk away and we wouldn’t have wanted to take our toddler on foot. The village had a good supermarket and some other shops/cafes etc. We didn’t spend much time there. There was a nice restaurant within walking distance in a different direction that did takeaway pizza/pasta etc – great if you have to spend every night in with a sleeping toddler and don’t always want to cook! Dealing with Carlos was relatively straight forward, our damage deposit was returned. All in all this is a very good value, basic and clean villa however I’ve only rated it 4 out of 5 stars due to its location which felt a little isolated and residential. I would recommend the villa if you’re looking for a peaceful sunny holiday lazing by the pool. We had a great stay at the Villa! The rooms are spacious with a lovely outdoor area by the pool for dining and the sun loungers. The villa is in an ideal spot, just 5-10mins walk from Olhos D’água with shops, cafes and car hire etc. The villa is clean and tidy and everything was well kept, we’ve recommended the villa to our friends! Gostamos bastante da estadia nesta “villa”, não só quanto a sua localização como às condições de espaço e equipamento proporcionadas. Não haverá dificuldade alguma em usar/aconselhar a escolha desta moradia em futuras necessidades! O nosso agradecimento ao Sr. José Carlos pela disponibilidade e garantia de confiança manifestada. We had a wunderfull stay in this Villa. We stayd here with 3 adults and 4 children. The villa is complete with everything you need. The rooms are big and there is enough space for 2 families. In the periode end off april/mei the wether is perfect. It lies in a quit place and it is possible to walk to a beautifull beach. Everything is nearby but we recommand to hire a car because there are very beautifull things to see if you want to explore Portugal. It is also very easy to travel by bus/taxi. We would deffinatly recommand this villa to complete your holliday.